A crispy seed cracker with a hint of sea salt and a delicious tangy guacamole is a taste sensation and completely satisfying. Make a big batch of the crackers and have them on hand in the freezer to go with your favourite toppings. 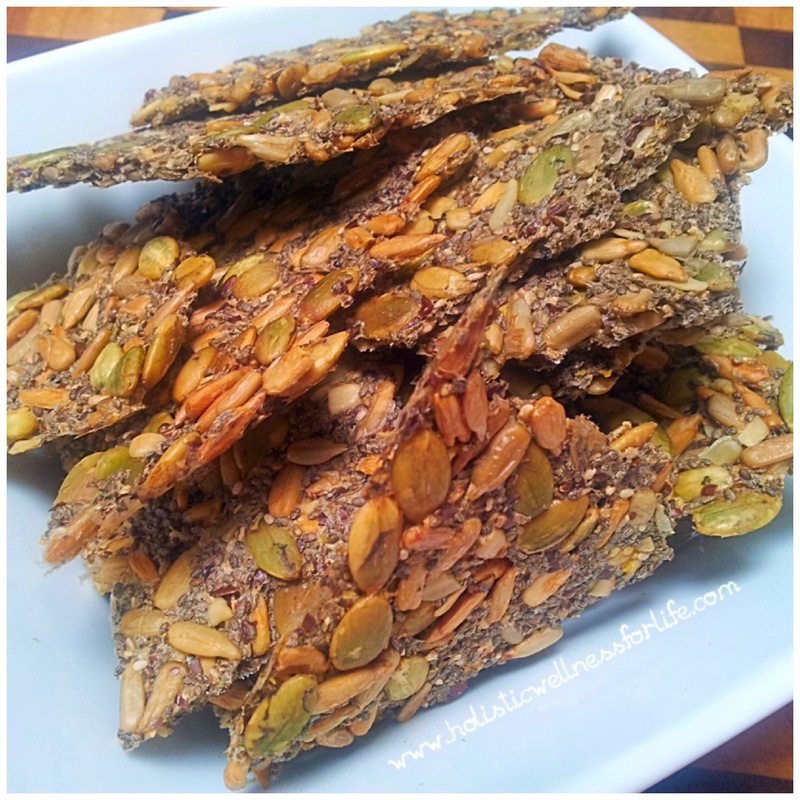 The seed crackers are really easy to make and just require a few ingredients plus some patience. 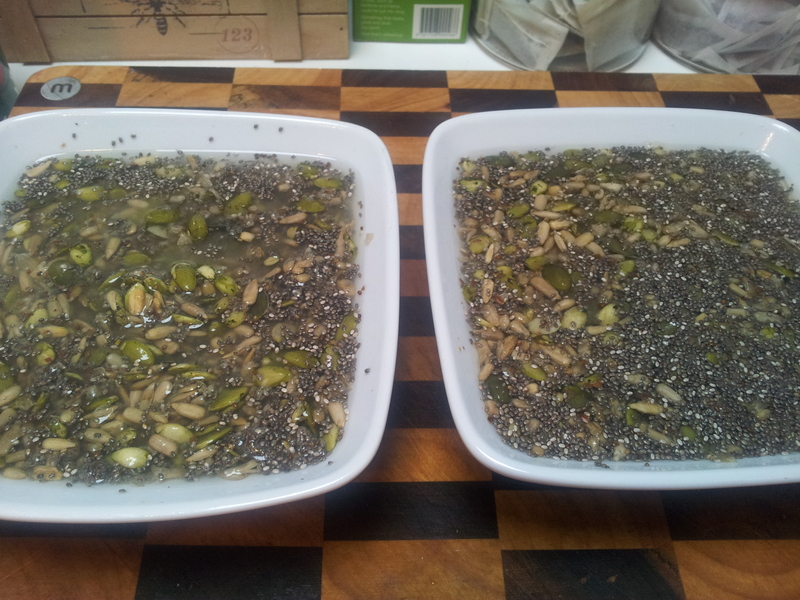 Place one cup of water in a bowl and add to it one cup of mixed seeds (just under 1/2 cup each of raw activated pumpkin seeds and sunflower seeds. The cup will be almost full. 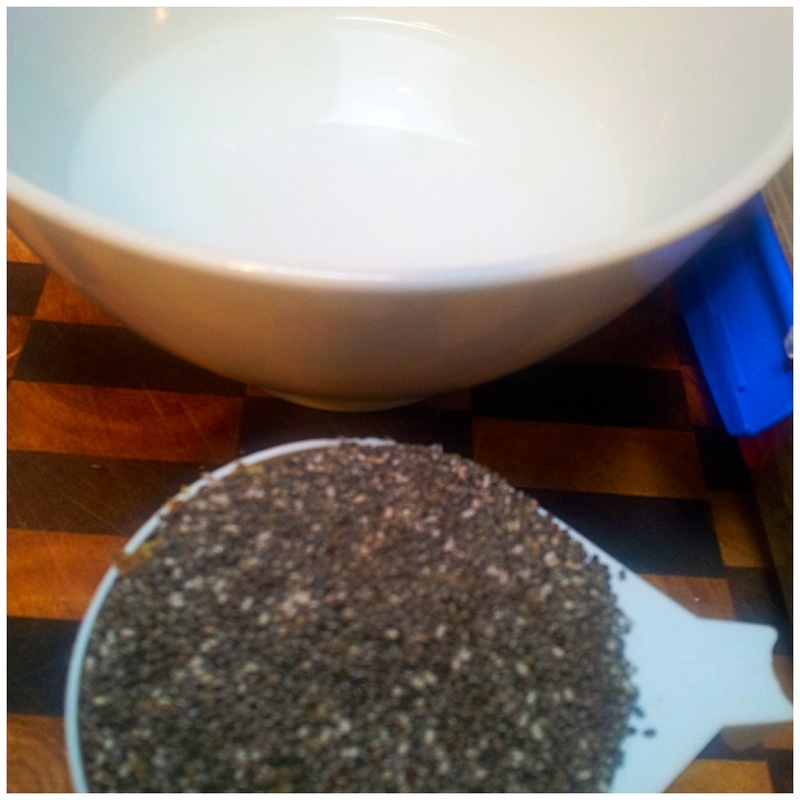 Add on top one tablespoon of LSA mix and 2 tablespoons of black chia seeds. It’s o.k if it is overflowing a bit). Pour the seeds into the water and give a stir. Add 1/2 a teaspoon of sea salt to the mixture and mix well. Let this sit for at least 15 minutes so it becomes a bit gluggly looking. Pre-heat the oven to 150 degrees celcius. Pour the mixture onto a baking tray covered with a generous piece of baking paper. Smooth out with the back of a spoon until it is even and most of the tray is covered. 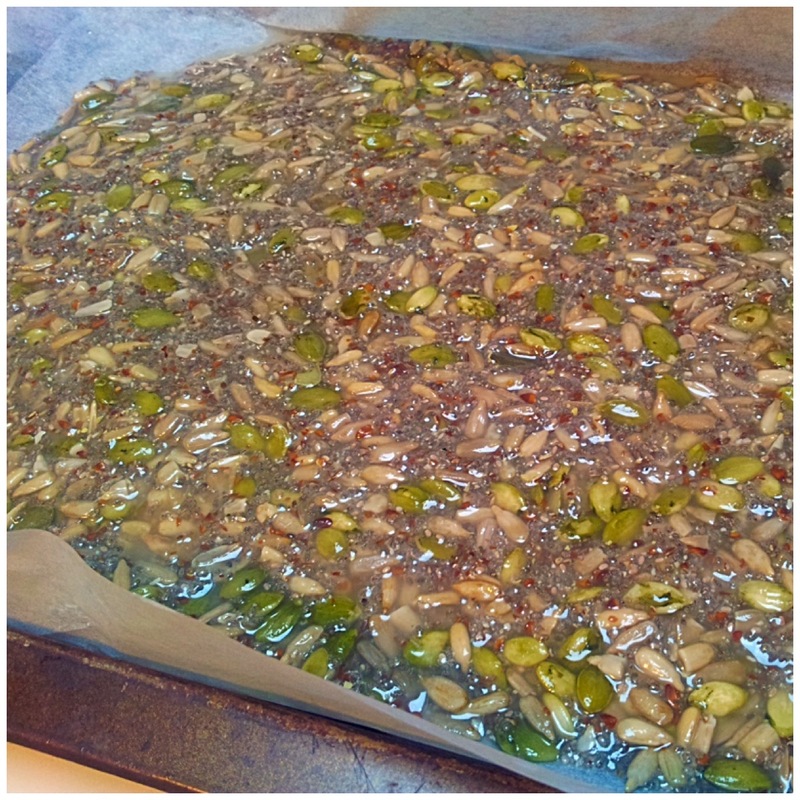 Place the mix into the oven for up to 1.5 hours or until the sunflower seeds are turning golden. It may require less time depending on your oven. Turn the oven off at this point and leave for one hour. One huge cracker. Now break it into usable pieces. 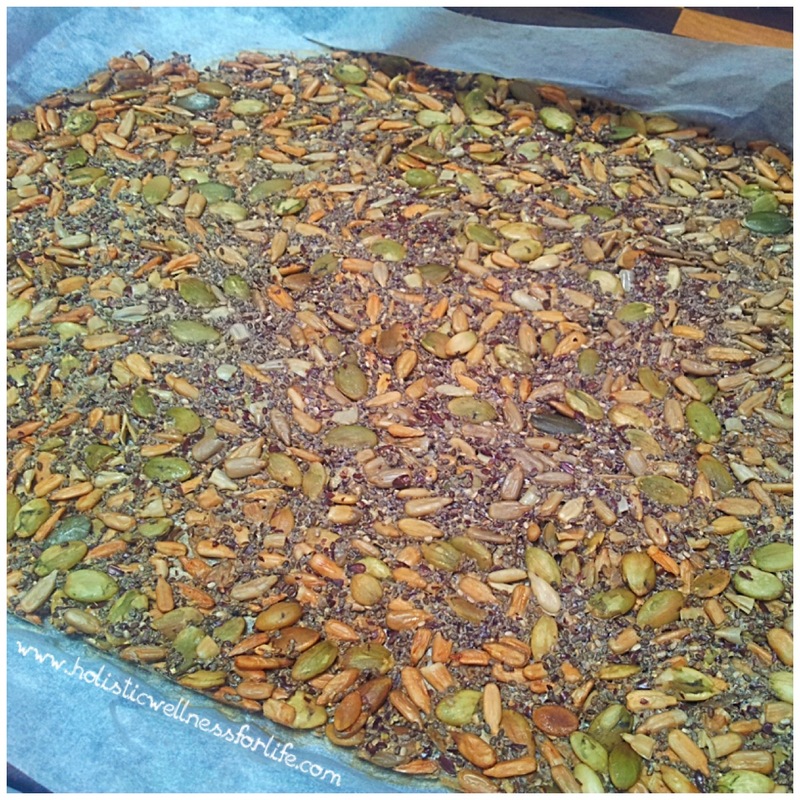 The cracker mix should be able to be broken easily into pieces and used with your favourite meal, as a snack or frozen. A delicious and versatile cracker. 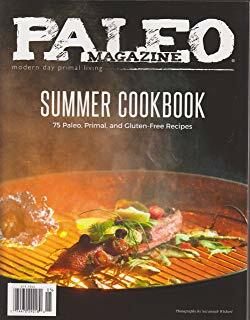 Guacamole is very easy to make and a quick meal to create. You can use any volume of the ingredients you wish to make a dish that suits your tastes. I used two fresh avocado’s slightly mashed, 2 spring onion green tops chopped, some small orange tomatoes diced, the juice of half a lemon, pink rock salt and black pepper. Once you mix it all together you have guacamole and it is best eaten straight away. The colour of the tomatoes you use will alter the appearance of the guacamole and bright red ones look really excellent. 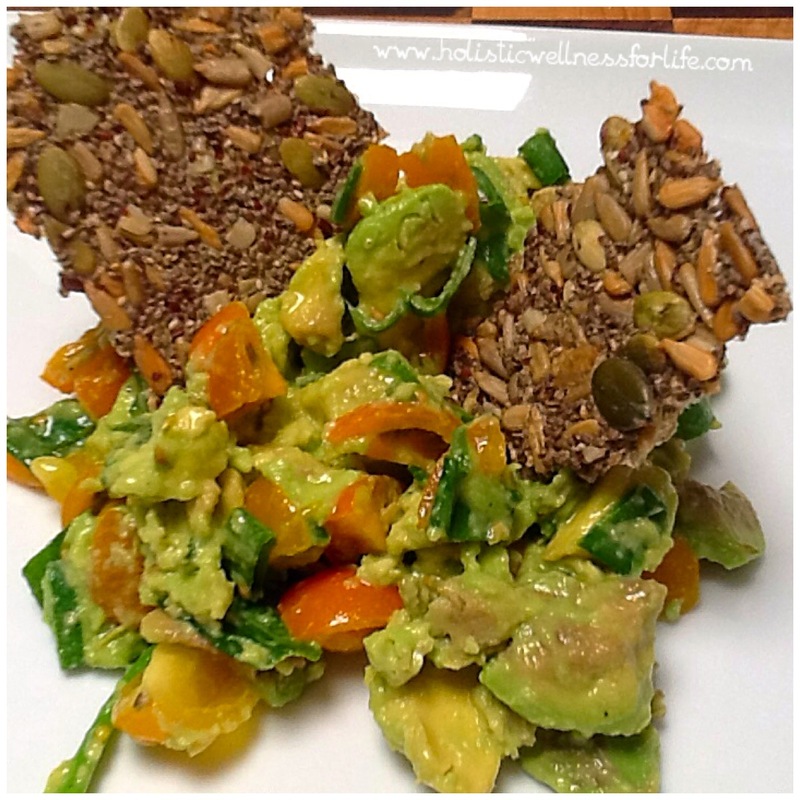 This is a very healthy meal or snack and one that can be enjoyed by many people. You can make a large batch of guacamole and serve as a dip with the crackers and this is sure to be popular with your family or guests.